The Computer Church: The Electronic Associates Inc. High Sensitivity Module 12.819 (1110 Variplotter© System) Manual. 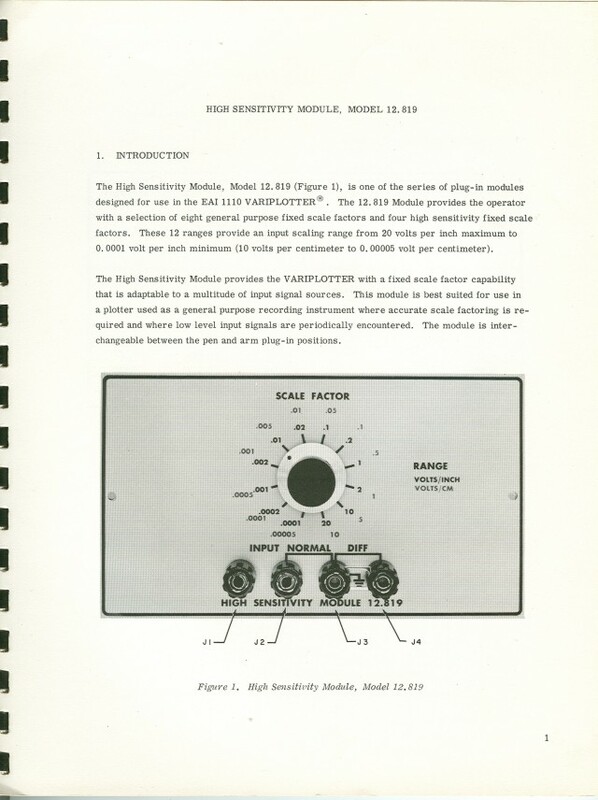 Manual for the EAI High Sensitivity Module Model 12.819 (110 Variplotter© System). The first page of this manual states that the original printing was November 1963. This particular copy includes a "Manual Revision Notice" dated January 29, 1964 so this is either a later version of the original printing or the revision notice was slipped into it. The EAI manuals used a plastic rounded comb binding which was designed for easy insertion of new pages. 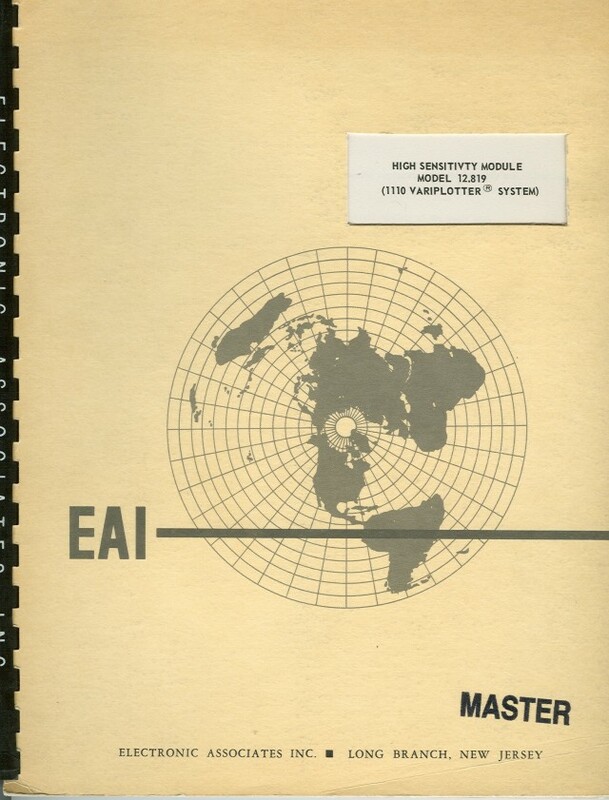 EAI manufactured the "1110 Variplotter" for which the module described in this manual was inteneded. See below for information on the TR-48 computer to which the Variplotter could have been connected. If you're not sure what a plotter looked like, you can see a simple plotter under Related Items below.